What is Interior Architecture? 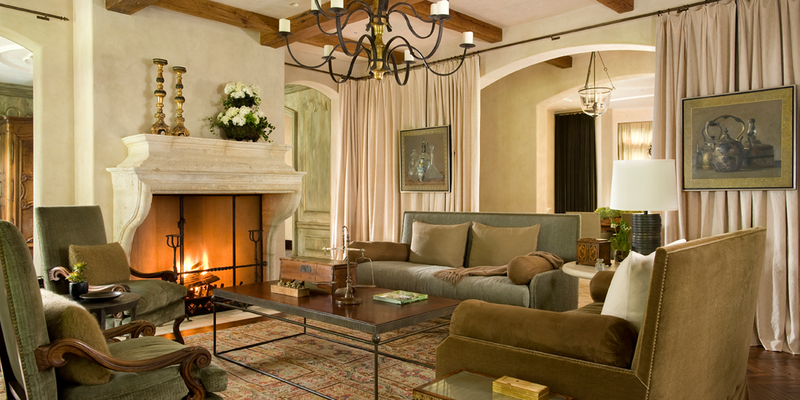 It is the creative resolution of all the interior architectural details of your home. Mies van der Rohe said “God is in the details”. Whether you agree with his modern approach or not, his statement bears truth. Details create uniqueness in all things, whether a human being, a golden retriever, or our humble abode. But it’s this essential element which is so often overlooked when building or renovating. Why is the thermostat occupying the place on the wall where your prized piece of art was to be displayed? How can you enjoy that cozy reading chair when the nearest outlet for a lamp is across the room? Now you have to look for “post construction” solutions; do you hang your artwork a little off center, or have to chose something else entirely? Do you settle for inadequate lighting, or move your chair? There is no use pining over that reclaimed stone flooring you coveted because the thickness of the subfloor wouldn’t allow it. Forget about the one of a kind vessel sink you bought for the powder room but couldn’t use because the plumbing was stubbed for a deck mount, not a wall mounted faucet. And you’ll just have to deal with the regret you feel over the library bookcases that weren’t deep enough to accommodate your collection of maps! What went wrong and why did you have to settle for less than you wanted? Shouldn’t “building from scratch” mean not having to compromise? Of course you have a budget; everyone does. But not planning will cost you more money in mistakes, change orders, and project delays. What a shame the only reason you couldn’t have exactly what you wanted was because it wasn’t planned for in advance! What is the solution? During the planning stage, before construction begins, hire and interior designer who provides interior architecture services. This ensures that the right questions will be asked and answered before the rooms are framed and the foundation is laid. For example, furniture plans need to be drawn to scale to confirm room sizes. 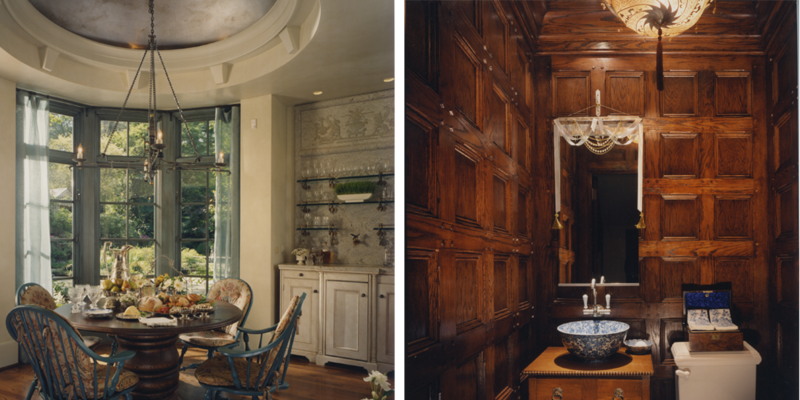 If you plan on seating 16 people in your dining room and plan on using the antique sideboard you just purchased, there needs to be confirmation that the room, as drawn on the architectural plans, will accommodate that. Window and door placements need to be reviewed in conjunction with a furniture plan to determine traffic flow, landscape and TV viewing. And of course, no lighting plan is relevant without first confirming a furniture plan. Additional subjects that may need to be addressed are; what will the fireplaces actually look like? What are the configurations and profiles of the paneling in the library? Do the hallways have to be uninteresting tunnels? What are the sight lines from one room to the next? And the most often ignored surface, the ceiling, begs to have detail. The late Billy Baldwin said “Scale and proportion give everlasting satisfaction that cannot be achieved by only icing the cake”. Picking paints, choosing the furniture and hanging artwork are “icing the cake”. 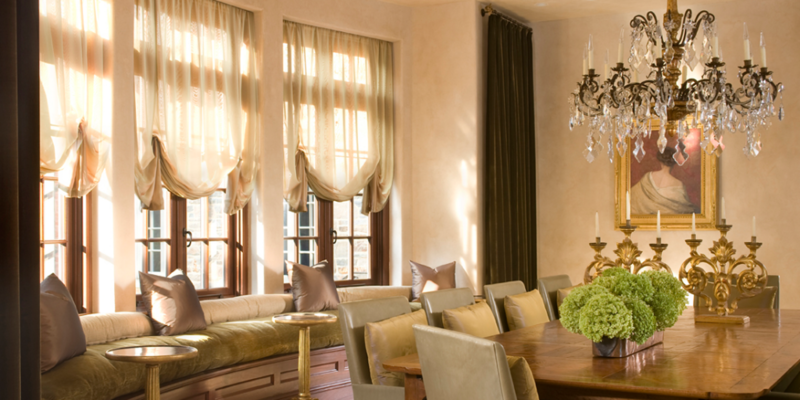 Obviously your interior designer should be accomplished in these tasks. But if that is the extent of his or her capabilities, who will answer the questions posed in this article? Who will act as the liaison between you, the trade sources and the fabricators? Who will help you build a home around you instead of building a house and hoping you fit? This is your home, the place you raise your children and make your memories. Don’t settle for less when you can achieve your dreams by planning ahead with careful attention to interior architecture.